Award-winning 18 hole golf course, is an obvious attraction in spring, summer and fall. But with the water so close, swimming, fishing and boating on our 260ft day dock are also popular activities. The designated beach area is a great place for kids to enjoy the playground and easy access to the water. Guests can take their best shot on the U.S. Open style tennis courts, or round up the family for hiking and biking on our 14km of groomed trails. Located on the Bruce Trail, Canada’s oldest and longest marked hiking trail, Cobble Beach is surrounded by the Niagara Escarpment. Come winter, opportunities to cross country ski, snowshoe, dog-sled and ice skate are right outside your door. 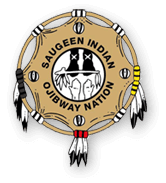 In 1999, a significant three-year cultural and archaeological study was undertaken under the direction of Saugeen Ojibway Nation to ensure the historical significance of the site was considered. The study was endorsed by the Ontario Ministry of Citizenship, Culture and Recreation and turned out to be the most comprehensive study of its kind in Grey County. In order to permanently safeguard the most culturally sensitive of these archaeological sites (including homestead ruins, artifact scatters and cultural rock formations), a series of 13 heritage zones were established before construction of the golf course began in the summer of 2004.